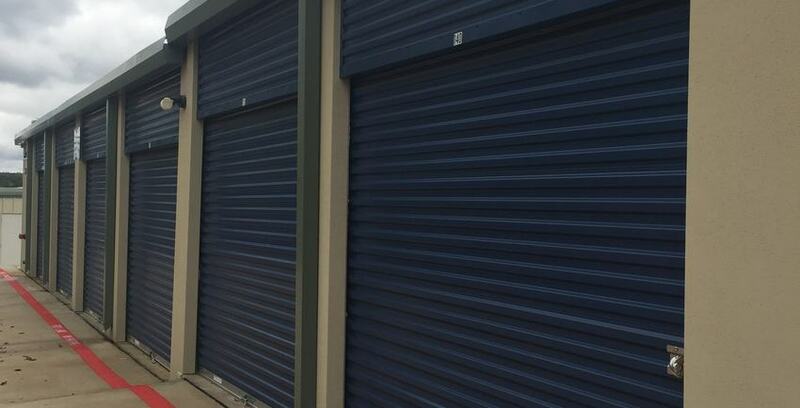 Looking for cheap storage that’s close to the University of North Texas? Teasley Lane Storage offers a wide variety of storage unit sizes with awesome amenities including climate control, drive-up units, indoor storage and 24/7 surveillance. Don’t trust your roommate’s friend Steve to look after your stuff while you’re off campus; rent a storage unit. Teasley Lane Storage is located just seven miles from the University of North Texas. You can drive to us in about 12 minutes by taking I-35E to exit 465A and following Teasley Lane to our facility. We’re open seven days a week with access hours until 10 p.m., so there’s no need to cut class to make it to your storage unit. Whether you’re spending your summer abroad, at Lake Lewisville or at your parents’ house, you want your college summer vacation to be as relaxing as possible. Eliminate the need to drop a check in the mail or swing by the storage facility with a payment and pay your storage unit rent online. It’s easy, it’s quick and you can do it without leaving the beach. Uh-oh, it’s finals week and you need to move all of your belongings out of your dorm room and into a storage unit, but you don’t have a car and you feel bad asking your friend if you can borrow his truck again. No problem. First time renters at Teasley Lane Storage get a free U-Haul truck. Whether you’re storing a futon and books or everything in your apartment, you’re all set. Summertime self-storage means climate control. If you’re in UNT’s award-winning jazz program and you’re storing an instrument, you need climate control. If you’re a student athlete (Go Mean Green!) and you’re storing sports gear, you need climate control. If you’re a storing any kind of electronics—even that old laptop you’re not sure if you’ll use again—you need climate control. Sensing a pattern? College students using summer storage should always rent temperature controlled units. Self-storage is the one place where it’s okay to be afraid of commitment. Teasley Lane Storage won’t force you into signing some crazy, long-term lease. If you only need a storage unit for the whole summer or just part of the summer, that’s no problem. And come fall if you decide you still need the storage unit, that’s cool too. It happens to the best of us. You’re cleaning out your closet in your on campus apartment at the end of the school year and you realize you forgot the most important thing you need to move your stuff into your storage unit: boxes. Don’t sweat it. Teasley Lane Storage sells boxes and all other moving supplies on-site. Whether you need a box for your textbooks, packing tape or anything else, we’ve got it. We’ll help make your move easier and get you settled in your storage unit so you can get on with your summer break.